The Paco Rabanne Million family is all about excess, and this latest addition to the Lady Million line is definitely no exception. 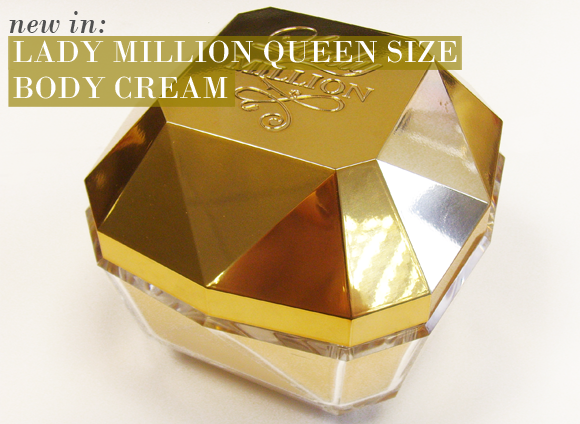 Big, glamorous and very pretty, the new Lady Million Queen Size Body Cream is definitely a must if you love your luxe. 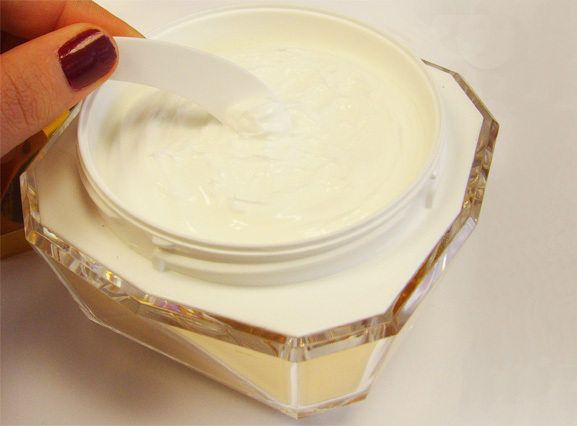 The whipped texture of the cream is an absolute pleasure to apply, making your skin feel gorgeous with its blend of glycerine, allantoin and antioxidant vitamin E. Its scent is a little deeper than the original Lady Million fragrance, instead focusing more intensely upon the heart and base notes of Arabian Jasmine and Honey for a sensual experience. 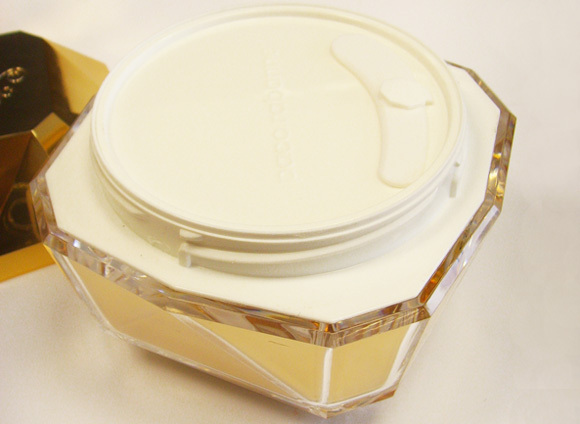 At 300ml, this massive diamond-inspired jar is showstopping (and pretty heavy!). A definite dressing table piece that doubles as a wonderful skin soother. 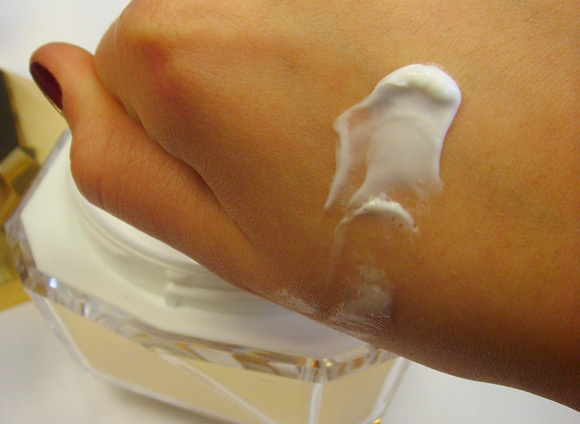 This entry was posted on Tuesday, May 1st, 2012 at 8:39 am and is filed under New products, Skincare. You can follow any responses to this entry through the RSS 2.0 feed. You can skip to the end and leave a response. Pinging is currently not allowed.